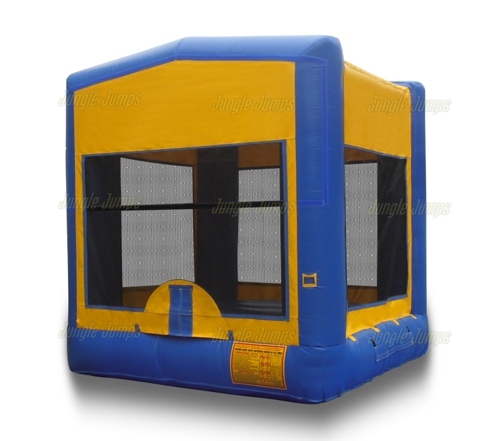 During the busy season, most moonbounce rental owners tend to set up their jumper at the party it is intended to be at and take it down the same day, simply because it is likely that the moonbounce will need to be used next day and another party. There are some instances, however, when it is much easier to leave the inflatable jumper at the renters residents rather than to travel back to get the inflatable jumper. What can you expect when you leave a rental at a renters house overnight, and how can you make sure that your rental is in good shape when you arrive to retrieve it? Firstly, make sure that the renter is okay with you leaving the moonbounce at their home. While most people have absolutely no problem with this, there are some people who simply don’t have the space to allow such a big thing as a bounce house to take up the area for that amount of time, so always double check with your customers first. If the customer is fine with you leaving the jump house their home, you should make sure they know what to expect. Figure out, before talking with them, if your called will with them operating the moonbounce on their own. If you plan on leaving your bounce house at home that has children in it, it is very likely that the parents are going to set up the jump house once the party is over, or the next morning, so that their child can enjoy what they have rented. Explain to the customer that while you’re comfortable with them inflating or deflating the moonbounce, that they should not do it too often. You don’t want to put more stress on the bounce house than you need to. You may also want to make sure that the contract states that you will be leaving the moonbounce at their place of residence, and that you expect to retrieve the bounce house relatively undamaged. You can also put a clause in the contract that states that if the bounce house is damaged from leaving it overnight, the customer will have to pay a fee to help cover the cost of the damage. Starting your own business can be very exciting, especially when you get the first bounce houses that you have ordered from the manufacturer. It is that day when you finally realize that the business that you have just started is truly a real business. But do you know what to expect when your bounce house finally arrives? Taking proper care of your bounce house is a very important part of owning your business, which is why you should know just what to do when your bounce house arrives at your home. First you need to realize that it may take a bit of time for your new jump house to arrive. The amount of time will vary depending on which company you order the inflatable from. Generally, however, inflatables take anywhere from one to five business days to get to your home. The further you live from the distribution center, the longer it will take for the bounce house to arrive at your home, of course. Most inflatable companies now have tracking available on their packages, so it is easy to figure out exactly where your inflatable is and when it will arrive at your home. This is important because you may need to sign for the package. The box will definitely be far too large to fit into your mailbox! Once your new bounce house arrives you’ll find that you have, well, a very large box on your hands! The box will have everything that you’ll need to get your business up and running, including the house that you purchased and all of the accessories that you’ll need to get the inflatable up and running, like a blower to inflate the house or slide and a power cord. You’ll also receive a large bag that you can keep the bounce house in as well. In fact many companies ship their houses in these very bags. While you aren’t required to set up your bounce house in order to “break it in”, it is a very good idea to set up the house so that you’re able to do it flawlessly. This way, once a client contacts you, you’ll be prepared to set up the bounce house quickly and efficiently, making the client happy and making it much easier for you to get return business. 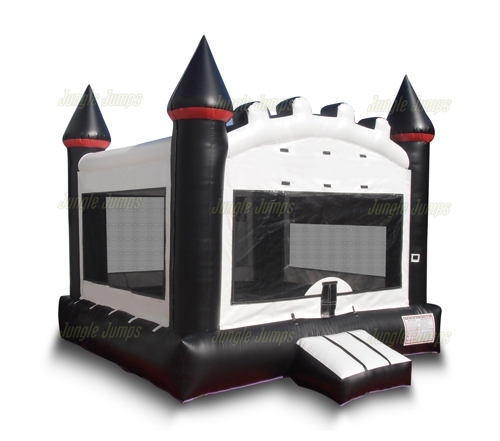 Ideally all bounce houses that you purchase will last for a very long time, making it easy to build your reputation and your business. Unfortunately, however, things happen that we don’t anticipate, and when bad things happen to your inflatables you’ll need to figure out what you should do. You’ll need to discern if the situation is fixable, and if so if it’s something that you can repair, or if you should shed your losses and purchase a new inflatable from a bounce house manufacturer. The inflatable pump is one of the key elements in this business and is something that you need if you have any chance of getting your bounce houses inflated before a party is over. Almost all bounce house manufacturer send a pump with each of their inflatables, but they are not indestructible, and occasionally something will happen that will cause the pump to stop working. When this happens you have two choices: repair the pump or purchase a new one. In the case of a pump, many times it is a good idea to simply cut your losses and purchase a new one, as a pump is extremely important and having one die on you in the middle of your setup. 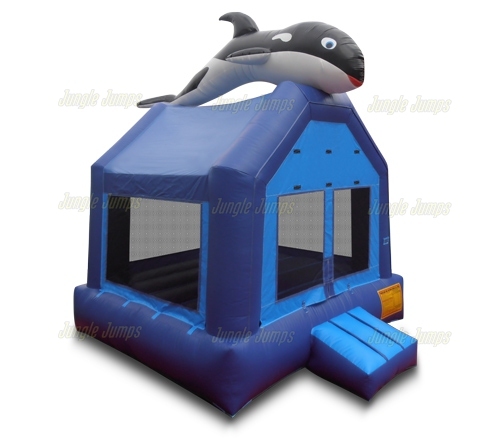 You should be able to find a new pump for your inflatables from the bounce house manufacturer that you originally purchased your jump house from. It is often not a good idea to purchase a second hand pump, or one from another manufacturer, as you want to make sure that your inflatables work perfectly with your new pump. 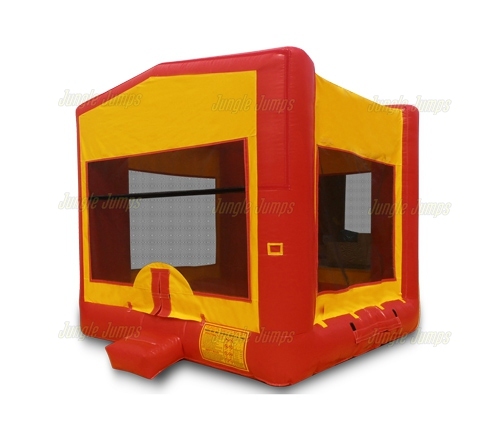 Of course the bounce house is also extremely important for your business, and having a functioning one is vital. One problem you may run into is that your bounce house may wind up with a hole in it. This can happen even if you are extremely careful about what you allow on your bounce house. If this occurs, you have two options as well: repair it or junk it. Many times you will find that a bounce house manufacturer will actually sell a repair kit that can help to get your bounce house fixed in a very short amount of time. Whether you opt to use this kit depends on how large the hole is, and where it is located. A large hole right in the middle of the house, for instance, may not be something that you want to repair yourself, yet a smaller hole near the back of the bounce house may be easily repaired. After you’ve owned your jump house business for a while, you may find that you are getting a bit bored with the inflatables that you have purchased. When this happens many people think that they have three choices – that they can purchase new inflatables, that they can simply deal with the ones that they have, whether they can redecorate their bounce houses to create a funky new look. But is it really a good idea to decorate your own bounce house? 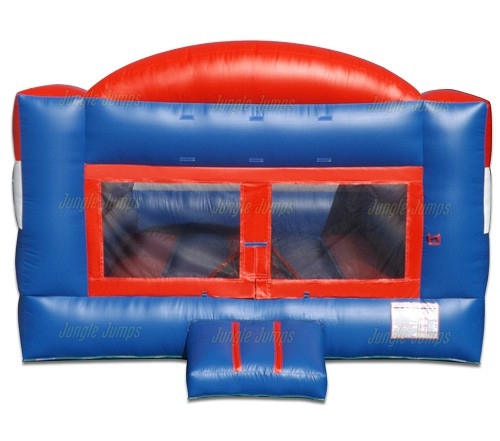 It is always a good idea to make sure that the bounce houses that you purchase from an inflatable manufacturer are ones that are fairly generic. Fads tend to change, and when they do you’ll find that any of the inflatable that you have purchased in order to go along with that fad will be much more difficult to rent out. That is why it is always a smart choice to purchase bounce houses from an inflatable manufacturer that are much more generic. Unfortunately when you do so, you’re much more likely to get sick of your bounce houses a lot faster. A logical conclusion would be to decorate the bounce house yourself. If the bounce house is generic, adding a little bit of paint will add quite a bit of style to the bounce house, right? The answer is an emphatic no. It is never a good idea to decorate your bounce houses by yourself. While paint may seem like a very simple thing, and something that would never hurt a bounce house, any inflatable manufacturer will tell you that you should never make any alterations on a bounce house that you own, even if it is just to put a fresh coat of color on it because the colors on your bounce house have faded. But why can’t you put paint on your bounce house? The quality of the fabric is extremely important when it comes to the stability of the bounce house, and if you put paint on the fabric there’s a much greater chance of the fabric degrading which can cause it to deflate much faster or may even cause it to pop. If you are getting sick of the look of your bounce house, it may be simply time to purchase a new one from an inflatable manufacturer. While the price may be a bit high, it’s a lot cheaper than purchasing paint, repainting a bounce house, and then having it pop which would require you to purchase a new bounce house anyway.